Description: A close-up. A train is moving on the rails. 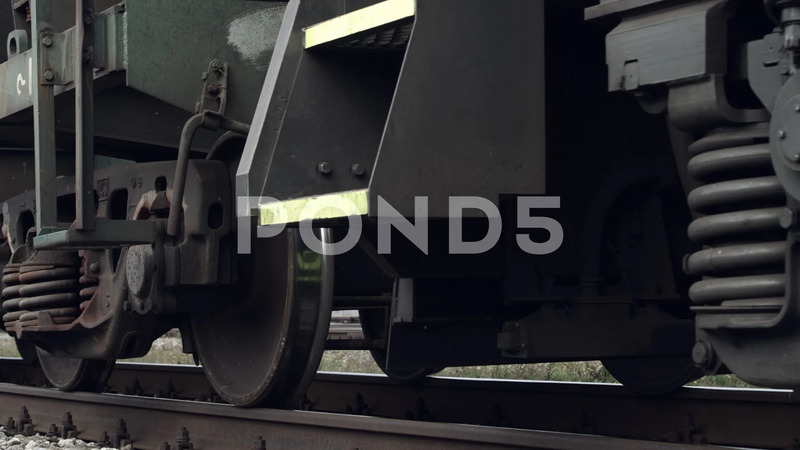 We see black turning wheels and parts of railcars.